Generous giving is a virtue. A life of gratitude is a joyful life. 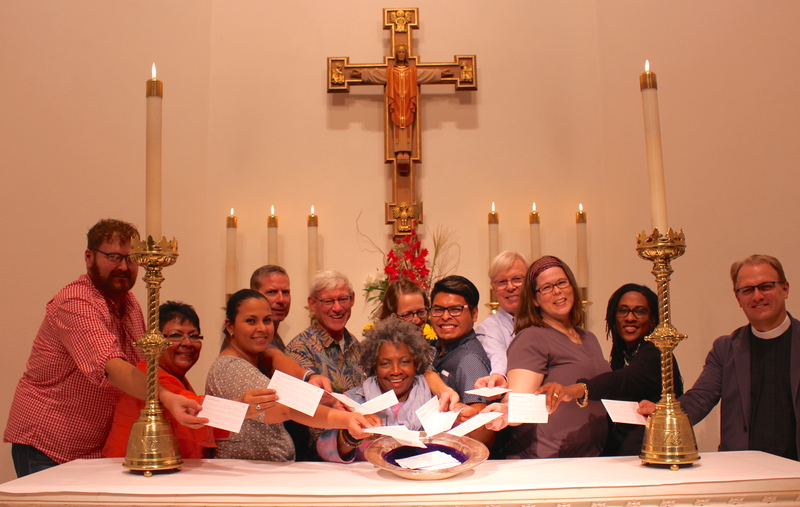 To be grateful is to say, “God has blessed me, and I want to be a blessing to others.” At Christ Church, one way we show our gratitude is by making a pledge of support each year. We are doubly blessed at Christ Church. Previous generations have provided an endowment that supports nearly all our ministries, our facilities, our staff, our music. 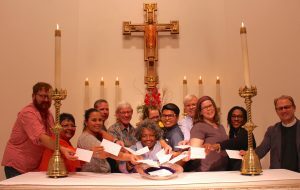 Unlike most congregations which must give to pay the heat bill or salaries, we are able to commit 100% of pledge gifts to our community. We can bless others as God has blessed us. To make a donation please contact our Financial Assistant, Evelyn Johnson or print a Pledge Card today! Our leadership at Christ Church Cathedral has already pledged to support the church with their time, talents and treasures. We are all in and we invite you to join us. I appeal to you therefore, brothers and sisters, by the mercies of God, to present your bodies as a living sacrifice, holy and acceptable to God, which is your spiritual worship (Rom 12:1).